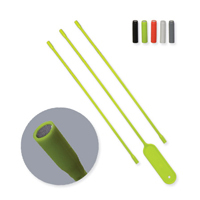 - Designed with the telco service person in mind. - 16 ranges and functions. The model 2001 includes all of the features of the Model 1000 with the addition of Cab Filters. The Model 2001 was designed for passenger railroads using 100Hz and 250Hz coding systems. - 100Hz and 250Hz Cab Filters. - All Pass position - bypasses cab filters. - Auto polarity in DC functions. - Selectable EC Amps polarity. - Direct measurement of code parameters. 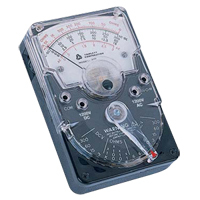 - Relay contact on time (Dry Contact) requires no adjustment. 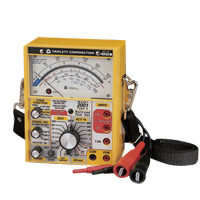 - Ohmmeter voltage mode detects either polarity voltage including AC. - Field replaceable protective window. The model 2002 also includes all of the features of the Model 2000 with the addition of cab filters. The model 2002 was designed for rapid transit / commuter type railroads using 100Hz and 200Hz coding systems. 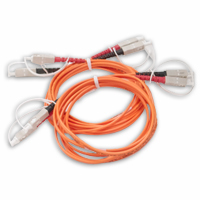 - 100Hz and 200Hz cable filters. - Auto polarity in DC functions..
- Selectable DC amps functions. - Selectable DC amps polarity. The Model 2003 also includes all of the features of the Model 2000 with the addition of cab filters. The model 2003 was designed for railroads using 60Hz and 100Hz coding systems. - 60Hz and 100Hz cab filters. - All pass position - bypasses cable filters. A kit containing the Test Reference Cords sets NFK1-DPLX-LC, NFK1-DPLX-ST, NFK2-DPLX-LC, NFK2-DPLX-ST, LC and ST adapters for the power meter and 62.5/125 and 50/125 ìm mandrels. 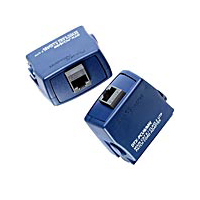 Added to the standard DTX-MFM2 or DTX-GFM2, this kit delivers a complete set of accessories to test multimode links with SC, LC and ST connectors.